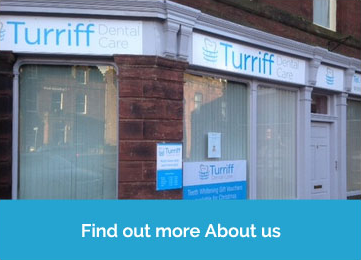 Turriff Dental Care started as a fully NHS practice over 60 years ago. 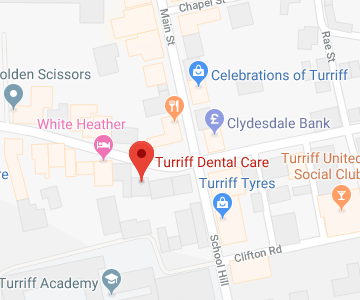 Over the years, it has evolved to cater for both private and NHS dentistry, and continues to welcome patients from the growing town of Turriff and its surrounding areas. We accept new private and plan patients. Private patients pay-as-you-go for treatment they require. We currently work with two plan providers: Highland Dental Plan and Denplan. If you are interested in being a plan patient, you will first be assessed on a private basis to determine your banding. Your monthly plan fee will be determined by which band you fall into. For more information on plans, check our dental plans page or contact the practice. As part of our commitment to providing NHS dentistry, we act as a training practice within the national vocational training (VT) scheme. Our NHS dentists are newly qualified dental surgeons who are mentored during their time with us while continuing their journey to becoming independent practitioners. Newly registering NHS patients will be looked after by our VT dentist. For more information, or to register as an NHS patient, please contact the practice.